Beijing : A leading Chinese daily on Friday warned the US of a "large-scale war" if it tries to block Beijing's access to the South China Sea islands. The state-run Global Times said that if recent statements become a policy when Donald Trump takes over as President "the two sides had better prepare for a military clash". he editorial in the English-language daily, which is known to reflect the thinking of the Chinese Communist leadership, came after Rex Tillerson, Trump's nominee for Secretary of State, called China's activity in the waters (South China Sea), which see $5 trillion in ship borne trade a year, "extremely worrisome" and sought denial of its access to the artificial islands. Tillerson did not specify how the US would block access and further likened China's island building to "Russia's taking of Crimea". "The US has no absolute power to dominate the South China Sea. Tillerson had better bone up on nuclear power strategies if he wants to force a big nuclear power to withdraw from its own territories," the editorial said. It called Tillerson's statements "as far from professional" and said "China has enough determination and strength to make sure that his rabble rousing will not succeed." "Tillerson merely wanted to curry favour from senators and increase his chances of being confirmed, by intentionally showing a tough stance towards China,' said the daily. "He also lacks legality. 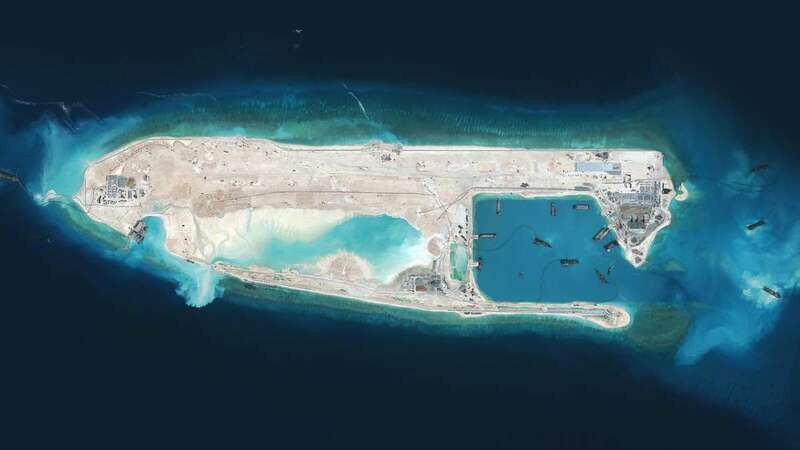 If China is not allowed access to islands it has long controlled, does this also apply to Vietnam and the Philippines?," according to the editorial. The Global Times called Tillerson as "the most controversial candidate among President-elect Donald Trump's nominees for his Cabinet" and said he is considered the one most likely to be vetoed by the Senate. "South China Sea countries will accelerate their negotiations on a Code of Conduct. They have the ability to solve divergences by themselves without US interference. Just as the Philippines and Vietnam are trying to warm their ties with China, Tillerson's words cannot be more irritating," it said. The Times further said that "it is hoped that Tillerson will desire a productive partnership with China more and his harsh words are just coaxing the Senate Foreign Relations Committee."